'I wish' ... 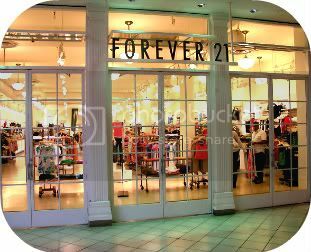 I had FOREVER 21 as my personal closet and could shop from it daily. This store and I are best friends. Every time I go, I try on about 50 things, and spend about 2.5 hours on average in it. There is a HUGE variety, and it's very affordable. Love Love Love. Best store ever :) You are my first to comment! Thank you! Haha! So much bang for your buck -- love it!